WHEN THE UNITED STATES MEMORIAL AND MUSEUM IN Washington D.C. chose to name someone as the new research director who had written articles in which comparisons were made between Israel and the Nazis and Ronald Reagan and the Nazis, what did most of the organized Jewish world do? They blamed the man who had brought these inappropriate writings to light, calling him, among other things, a "McCarthyite" and a person seeking to create a Jewish "thought police." Welcome to the upside-down world of American Jewry. So rather than reconsider the appointment of Prof. John Roth to the post of research director at the U.S. Holocaust Museum, the Museum's council and others concentrated their efforts on attacks on Morton Klein, the president of the Zionist Organization of America. Why? Because of politics, personalities and above all, a fervent loyalty to the chief characteristic of organized Jewish life: the cult of consensus. Woe betide those who step outside it or point out embarrassing things about the inner circle or their institutions. As for the Museum, I can't say I'm tremendously interested in the details of who is or isn't filling specific posts at this wildly popular and very successful institution. Although I think the finished product on the Mall in Washington is an outstanding representation of European and Jewish history about which I would change nothing, I was skeptical about it from the outset. The only real memorial to the victims of the Holocaust and the European Jewish civilization that was destroyed in the Shoah, is the state of Israel. The blue and white flag flying over Jerusalem or the sound of Jewish children at play or study is worth more than all the monuments of stone and concrete in the world. As long as the Museum is there, I say, long may it wave. It has done a marvelous job educating Americans about the Holocaust and the dangers of intolerance and hatred. Yet the hybrid nature of its governance as a federal institution with Jewish overtones is unsettling and ultimately dangerous. As long as the Museum is a federal institution, it will always be vulnerable to politicization. Proof of that was the desire of the U.S. State Department to use the Museum as a prop for an Arafat photo op earlier this year. Miles Lerman, the chair of the Museum, was only too happy to acquiesce to this abomination and ultimately fired the man who tried to stop it: Museum Director Dr. Walter Reich. When the Museum is used against the interests of Israel and the Jewish people, such as the proposed Arafat visit, then we all should be wondering whether the enormous funds which have been put into it (in a time when Jewish resources were and are so scarce) were well spent. Even worse, many fear that the Museum will fall into the hands of those who wish to de-emphasize the specifically Jewish tragedy of the Shoah and distort its lessons into more universal themes which are more palatable to the politically correct crowd. That's a danger which some of those involved in the museum recognize. Rabbi Irving "Yitz" Greenberg, one of the founders of the Museum and a member of the panel that selected Roth, spoke to me at length and assured me that despite the disasters of the past year, the Museum was not moving towards more "universalizing" as opposed to Jewish content. If so, that's good news. The Museum needs to stay out of political controversies. But those who wish to stifle dissent against the follies of the Museum's leadership because it may damage support for the place among American Jews are worshiping a false idol. The Museum and its leadership are not sacred. The ideals for which it is supposed to stand are what is sacred. As for Roth, his defenders have gone overboard in trying to justify his appointment. While he may be, as Rabbi Greenberg insists, a good friend of Israel and the Jewish people, there is clearly a pattern of troubling statements. Roth's "paper trail" in which inappropriate references to the Holocaust exist, has dismayed many survivors. Even Abe Foxman, the executive director of the Anti-Defamation League, who has carried out a bitter public feud with Mort Klein, voted not to "re-endorse" Roth when the Museum's national council met last week. Unfortunately, rather than re-examine the appointment, the Museum's supporters thought it more important to save their own reputations and savage Klein and ZOA. And by trying to isolate Klein, they have committed an injustice. Contrary to his critics, Mr. Klein has played an important role on behalf of Israel in the past few years. 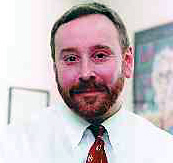 Without Klein, the campaign for forcing the Palestinian Authority to abide by the Oslo agreement and to cut off U.S. aid if they did not, would not have happened. Though now a belief in the importance of reciprocity on the part of the Palestinians is widespread, in the post-Oslo euphoria of 1994, when Klein began that fight, it was an unpopular. Klein took a ferocious beating in the Jewish world when he stuck his neck out on that issue. But in his own inimitable and sometimes abrasive style, he persevered and won. Similarly, his willingness to play hardball with Israel's critics such as Under Secretary of State Strobe Talbott was the right thing to do. Without Klein's campaign which brought to light, Talbott's numerous anti-Israel writings, 33 votes would not have been mustered against his confirmation. That strong message of disapproval ensured that Talbott will never be nominated for even higher office which is good news for Israel. Some of his fights have been ill advised, but he is almost always right on the details. In the Roth case, Klein did no more than point out the facts that no one else was interested in uncovering or discussing. Would the Museum would have asked Prof. Roth to account for his writings, if the ZOA had not been willing to speak up? Those who claim that the offending articles were taken out of context or were just aberrations in a long and distinguished career, may have a point. But so what? Our Jewish defense organizations have done the same thing to others we don't like with no one batting an eye. Roth said what he said. The promiscuous use of Holocaust analogies is the thin edge of the wedge in the universalizing of the Shoah. Whether people liked his tactics in the Roth case or not, the loose charges of "McCarthyism" against Klein that are being put about by Roth's defenders are inappropriate and inflammatory. Some strong supporters of Israel just can't stand Mort but I cannot help but believe that behind some of the vicious attacks on Klein are resentments against his aggressively pro-Israel stance at a time when many American Jews -- and their leaders -- are distancing themselves from the government of Israel. This makes a noisy Zionist like Klein, who is an enthusiastic supporter of the Netanyahu government, distinctly unpopular in some circles. Mort Klein is not always correct in the fights he picks (Who is?) and has some rough edges, but Klein's main "fault" remains his willingness to break with the cult of consensus that afflicts the organized Jewish world. He is not a "go along to get along" kind of guy. That can be tough to live with, but when the American Jewish world or Washington needs a kick in the pants, it often takes a Mort Klein to supply the boot. That makes him a valuable and scarce commodity.